The 9 Best Karaoke Bars in West Virginia! 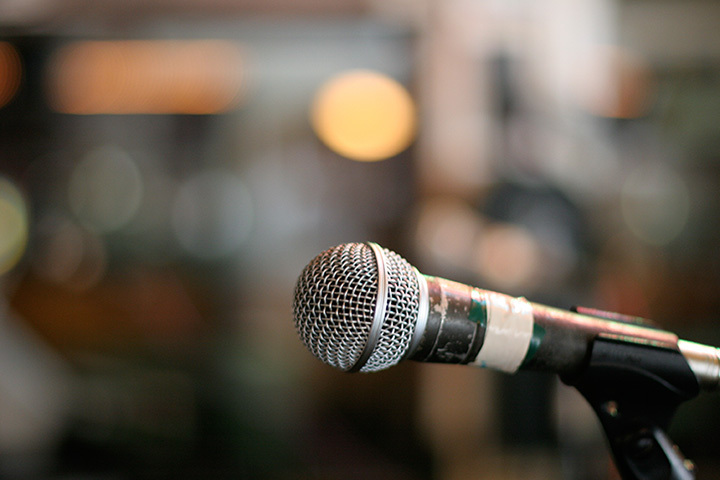 It doesn’t matter if you’re a rock star, a seasoned opera singer, or just like to sing in the shower, if you enjoy music and don’t mind singing in front of others, we’re sure you’ll find a great place to try from this great selection of the best karaoke bars in West Virginia. If you’re looking for a place that has a little bit of everything, Wild Wild West Sports Bar in Wheeling, West Virginia, is where you want to be. Something good is going on every night, from the all-you-eat lunch buffet on Wednesdays, Thursdays, and Fridays to the music events like live entertainment and karaoke. If you like to party until the wee hours of the morning, Prime Station in Cross Lanes, West Virginia, is right for you. They offer a full bar and stay open until 3 a.m. nightly. Besides great food and drinks, they have something different each night like Trivia Night, Karaoke Night, and Ladies Night plus live music most weekends. It’s a little bit country and a little bit rock and roll. That’s the atmosphere of Sharkey’s in Huntington, West Virginia, where you can always count on getting great service and finding a reason to return. Sharkey’s is a great place to hang out and dance, sing, play pool, or shoot darts. Great bar food at reasonable prices, too. Whether you’ve come to watch the big game on one of the many large screen TVs, start your singing career on Karaoke Night, or just enjoy the great food and selection of drinks, Brickside Bar & Grille in Bridgeport, West Virginia, will have you licking your lips and singing its praises. Indoor and outdoor seating is available, weather permitting, and you can order take out or have them cater your next party if you’d prefer that. No matter what day of the week you visit Stuart’s Smokehouse in Alderson, West Virginia, you’ll leave with a smile on your face. It could be from the awesome menu choices that include frog’s legs and fried oysters, the all-you-can-eat wings, or crab leg and rib specials. Or it could be because you tried something new like karaoke. Whatever the reason, this great little eatery overlooking the Greenbrier River is sure to become a favorite. Open for lunch and dinner, Ruttenbuck’s Grill in Valley Grove, West Virginia, is one of the state’s best kept secrets. Best known for their tasty barbeque and steaks, they have Damn Good Grub that includes hot beef platters, homemade meatloaf, the best grilled turkey sandwiches, old-fashioned liver and onions, and palate-pleasing spaghetti. Open every night, they also have karaoke and open mic nights. With a motto like “Eat like royalty, party like a rock star” you know you’re in for an entertaining time when you stop by Green Frog Bar in Inwood, West Virginia. Green Frog bartenders know how to mix great drinks and when combined with fun and food, there isn’t room for disappointment. Open for breakfast, lunch, and dinner, they can even host your next party on or off-site. Dancing, open mic, and karaoke events happen weekly and they host live music and special sporting events. Morgan’s Food & Spirits in Beckley, West Virginia, is a great place to celebrate your next birthday party or just a good place to meet friends for great food like their award-winning wings. A regular karaoke event is hosted by ill Shumate of Southern West Virginia’s Karaoke and all are welcome. There’s something for everyone at Morgan’s. Who would have ever thought karaoke and chili go together except the folks at Hoot’s Bar & Grill in Snowshoe, West Virginia? Not your fancy dining experience, you’ll nevertheless be super satisfied with the beautiful mountaintop location, and while you’re waiting for your food to arrive, you can play a friendly game of pool or darts, or site back and relax with a cold brew and listen to the live music.